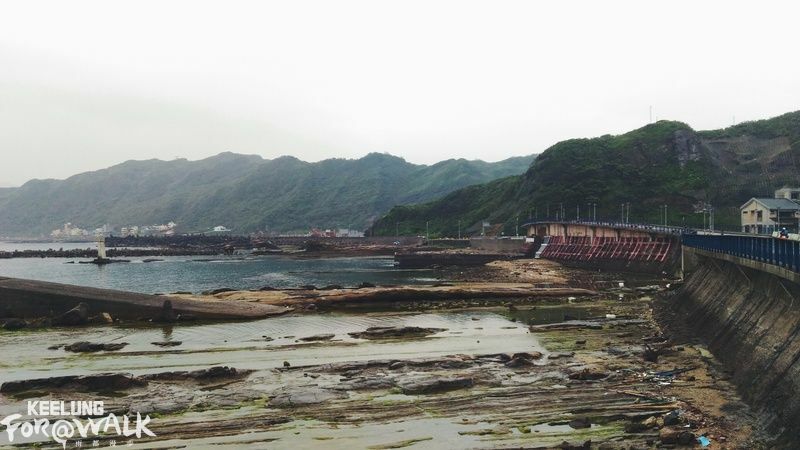 In Keelung, the sea can be seen from almost everywhere. 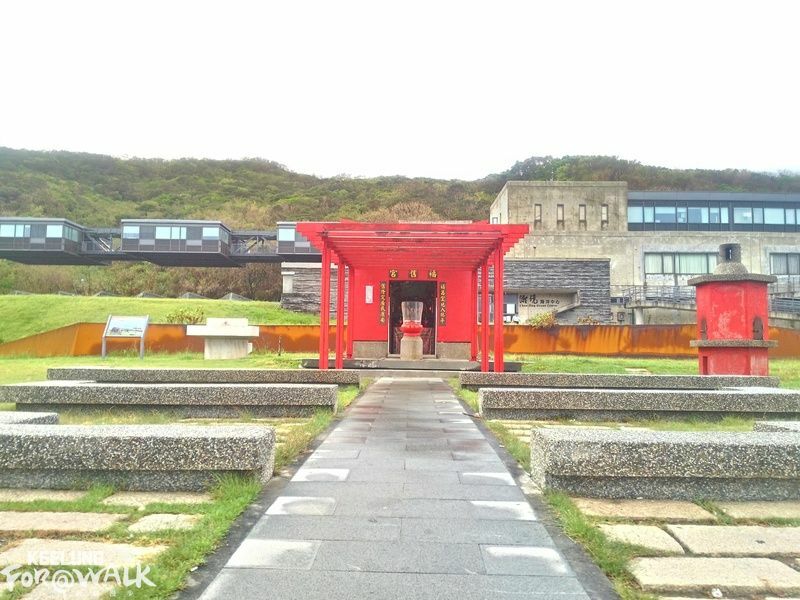 ChaoJing Park is no exception, offering a one of the area’s best views of the sea. Take the 103 bus to the NMMST stop and walk along Beining Road. You will first arrive at ChangTanLi fishing port, which is surrounded by the Changtan community. 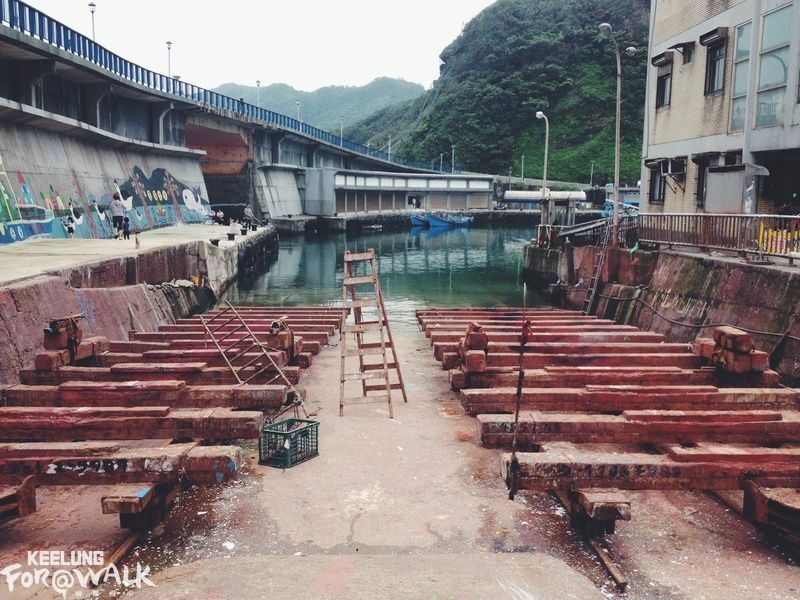 This is a typical small fishing village, and old buildings can still be found showing the old fishing lifestyle. 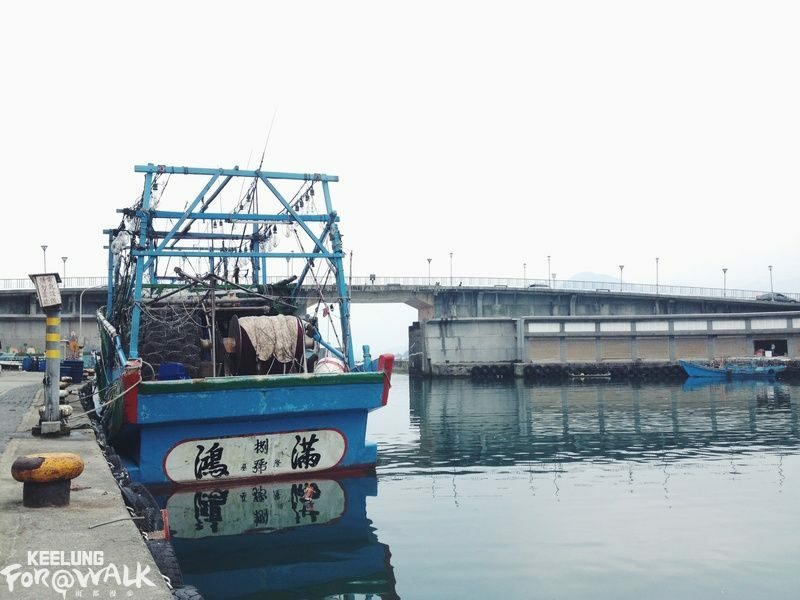 At the harbor of the ChangTanLi fishing port, you will see the “Ping Lang Bridge” across the top of the fishing port; this name is for pleasing God and asking that the fishermen return here safely. Continuing inside, you can still see the dock. Although it’s dilapidated and some parts of it are incomplete, you can nonetheless get a good glimpse of what it must have been in the early days. Slowly walk into ChaoJing Park, where you might see many people drying seaweed. This type of seaweed is called “stone flower” in Chinese, and it can be made into a natural jelly through a repeated exposure process (washed stone flower) that’s usually done locally. 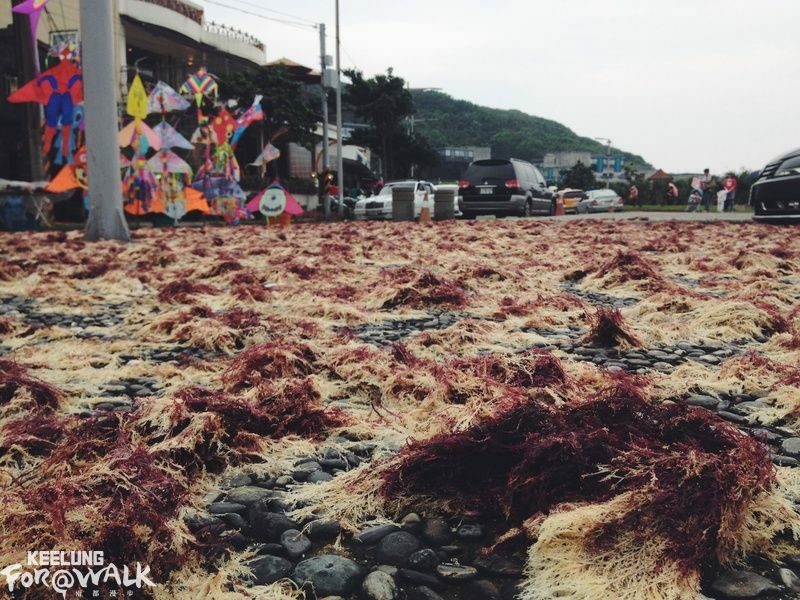 By exposure and a sprinkler, they wash the Phycoerythrin off the seaweed, and its color will gradually turn from red to dark red, yellow then beige. The length is subject to the weather condition; the greater the sunlight and the higher the temperature, the shorter the required time. It usually takes 5-7 days to complete, and it can then be reprocessed to natural stone flower jelly. ChaoJing Park is next to the famous sea-eroded terrain of Badouzi, where you can clearly see traces of wave erosion. 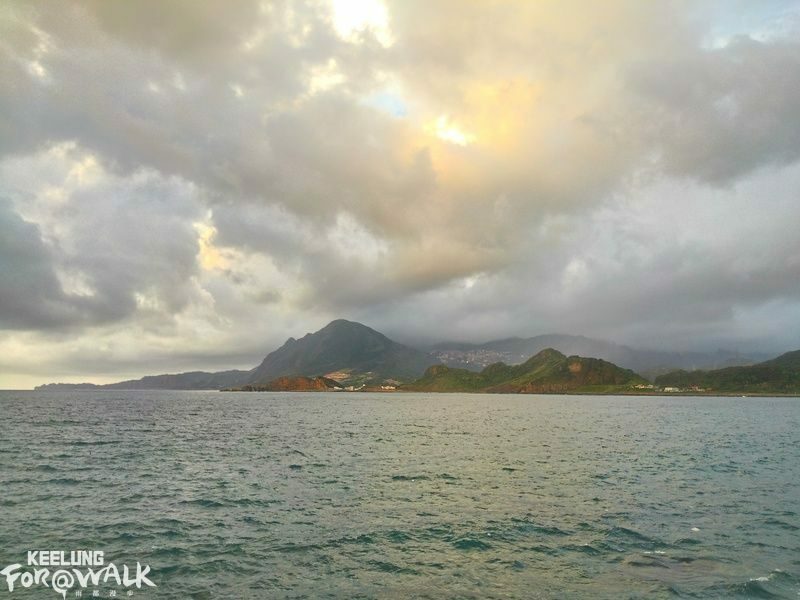 Take a slow walk around, feeling the ocean breeze. 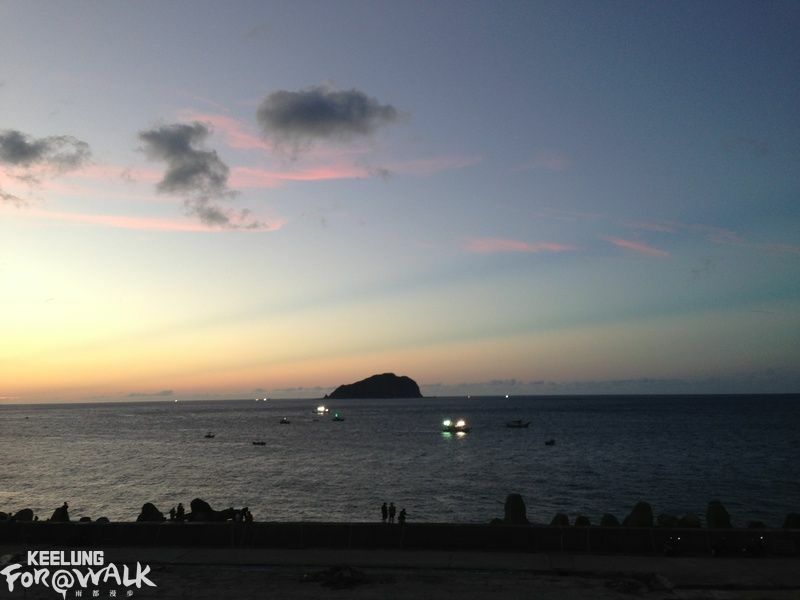 Look out at Keelung Islet, and there will occasionally be fishing boats coming and going and kites flying. On sunny days near sunset, the red color paints the whole skyline, and time slips by; you might not realize you’ve spent the whole afternoon in the park. This “Xanadu” with its beautiful sea view used to be a landfill. Environmental restoration began after 2002, and now on holiday the parking lot is always full. Many unique restaurants also opened in the surrounding area. If you have time, you can also take a short walk to the nearby Wangyou Valley, enjoying the complete scenery Badouzi has to offer!